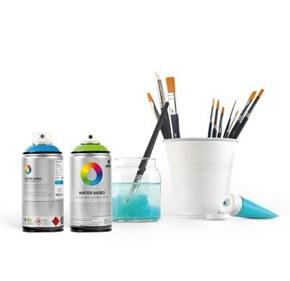 Product ideal for fine arts and crafts. Transforms and prepares any surface (wood, plywood, clay, cardboard, concrete, etc.) into a canvas onto which afterward, different mediums may be applied (oil, tempera, etc.). Enhances the surface's adherence and acts as a sealant by closing the pores so that the amount of paint needed is reduced.